A not so often covered location of Paris. 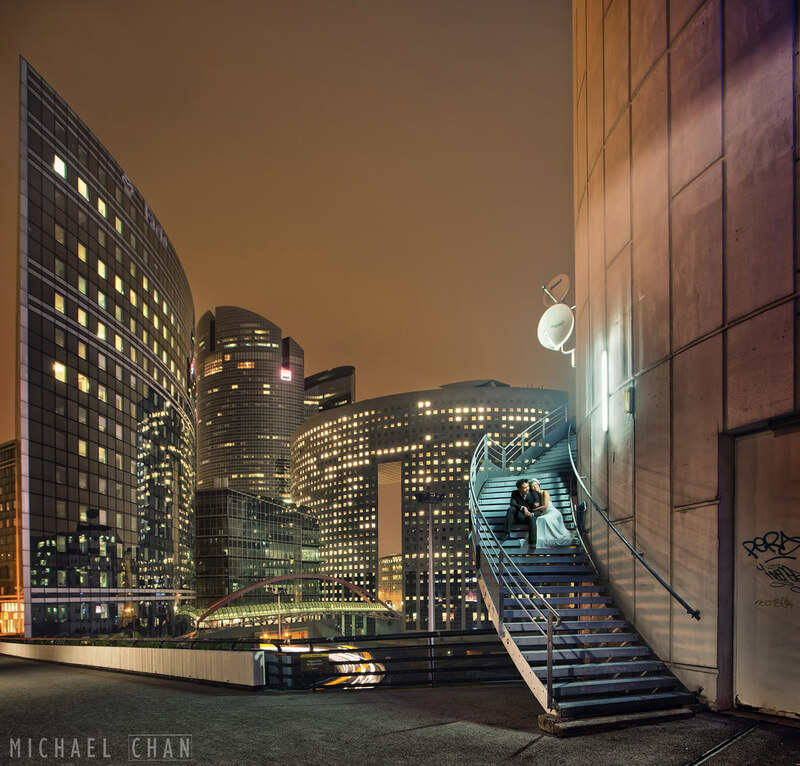 The futuristic looking world at La Defense, in stark contrast to the romantic streets of old Paris. Thanks so much to the adventurous couple, Ryan and Jessie for bearing the cold with us to get these wonderful alternative images. We almost freezed our asses off so I made pretty damn sure the images turned out great. Also special mention goes out to Sweet Affinity Bridal for loaning us the beautiful gown for this particular photo shoot. Click to enlarge the image and view in it’s full glory.